Per the report, although U.S. Customs and Border Protections apprehended more individuals between ports of entry in fiscal year 2016 than in fiscal year 2015, the overall number of CBP apprehensions have remained lower than in subsequent years. The demographics of illegal immigration on the southern border has also seen significant changes over the last fifteen years. The report indicates that today, fewer Mexicans and single adults attempt to cross the border unlawfully, while more families and unaccompanied children from Central America are flooding the southern border in an attempt to flee poverty and gang related violence. In the year 2014, for the first time ever, Central Americans apprehended on the southern border outnumbered Mexicans. In 2016, the trend continued and Central Americans again outnumbered Mexicans in the number of apprehensions on the southern border. During fiscal year 2016, the United States Border Patrol apprehended 59,757 unaccompanied children and 77,857 family units from Central America. CBP is currently working with a federal interagency to manage the flow of immigration of unaccompanied minors and families from Central America. At ports of entry in fiscal year 2016, CBP offers arrested 8,129 individuals who were wanted for serious crimes. Officers stopped 274,821 inadmissible persons who attempted to enter the United States unlawfully through a port of entry, an increase of seven-point-six percent from fiscal year 2015. These individuals were placed in removal proceedings, took voluntary departure, or withdrew their applications for admission into the United States. CBP identified 14,293 high risk travelers who would have been inadmissible to enter the United States. These individuals were prevented from boarding flights with a destination in the United States. U.S. Immigration and Customs Enforcement removed or returned 240,255 individuals in fiscal year 2016. Of those, 174,923 individuals were apprehended at or near a border or port of entry, while the remaining 65,332 individuals were apprehended within the United States. This means that ICE has focused their efforts in apprehending individuals who attempt to enter the United States unlawfully through a port of entry. Ninety-nine percent of persons removed by ICE were an enforcement priority. Of 101,586 aliens who were removed and did not have a criminal conviction, ninety-five percent were apprehended at or near the border or ports of entry. ICE’s enforcement activities within the United States led to an increase in the percentage of interior removals of convicted criminals from eighty-two percent in 2013 to ninety-two percent in fiscal year 2016. Individuals who were removed from the interior of the United States were convicted criminals or persons who posed a threat to public safety. ICE has focused its resources in removing individuals who pose a threat to public safety and recent unlawful entrants. Overall, a large number of state and local law enforcement jurisdictions have either limited or declined to cooperate with ICE, by enacting state statutes or local ordinances preventing involvement with ICE. Federal court decisions have also limited cooperation of state and law enforcement with ICE. The Department of Homeland Security is concerned with the lack of cooperation, since many convicted criminals may end up being released back into U.S. communities where it is likely they will continue to commit serious crimes. In response, Secretary Johnson created the Priority Enforcement Program which was implemented in July 2015. Twenty-one of the top twenty-five jurisdictions who had previously declined to cooperate with law enforcement have agreed to participate in the program. The program is designed to facilitate the transfer of individuals who pose a threat to public safety, by allowing ICE to take custody of these individuals. 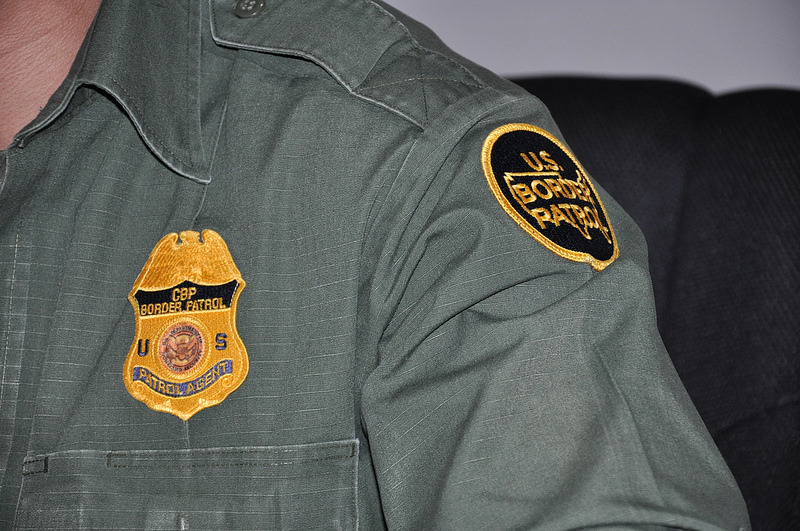 To read CBP’s Border Security Report for fiscal year 2016 click here. For information regarding the services we provide please visit our website.